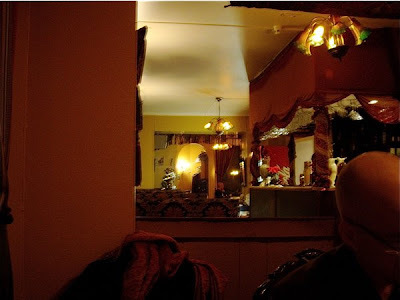 (Review December 20th 2009) Darbar is a restaurant located in my neighbourhood. It has served Indian food for years, and is actually one of the better of its kind in Oslo. As it has been taken over by new Afghan owners, Afghan specialties have been added to the menu. Darbar has decent food at reasonable prices, but the interior may be in need of a makeover. Darbar is located at Tøyen, a downtown area dominated by a large immigrant population. It is a quiet neighbourhood, less trendy than the nearby Grønland area, and has fewer good restaurants. This area is easily accessible. Just take one of the five eastbound subway lines, and leave by Tøyen Munchmuseet. The restaurant is only a five minute walk away. We recieved a warm welcome from the staff, but the service was a little slow. After ordering, we waited 20-25 minutes for our meal to our table, even though there were hardly no visitors there. 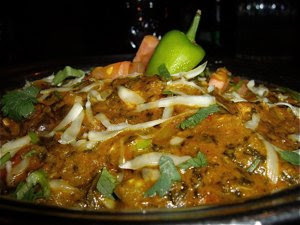 Darbar has the atmosphere of a well established neighbourhood restaurant. This makes it difficult to decide whether the present interior is what it is supposed to be, or whether it needs a new look. Is it old charm or is it run down? 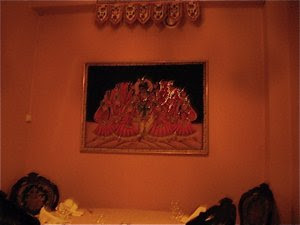 Having thought this over I recommend the owners of Darbar to invest in a makeover, do not change the interior completely, rather the opposite. Build on what already is of old charm, but get new and more comfortable furniture, and refresh the colour scheme of the interior. I ordered what was described in the menu as chicken with spinach and exotic spices (149 NOK / €16). When asked whether we wanted our food mild, medium or strong we chose strong, described as Madras. You could order vindaloo as well, if you were looking for a strong experience. We also asked for Garlic Naan. The chicken was served in a metal container heated by a small candle placed under it. Not very creatively presented, basically a heap of food garnished with raw onions, coriander and topped with a green chili. Chili served as a warning sign, as hot at Darbar is HOT!! I would never think of how vindaloo would taste. I would practically catch fire. In spite of the chili factor, aromas were well balanced, and the Chicken had a delicious creamy consistency. The meat was tender and vegetables had that reassuring crunch. 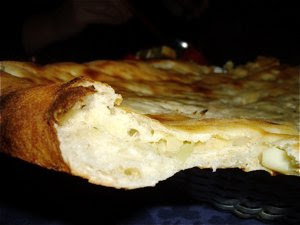 The garlic nan had an indecent amount of garlic - enough to scare vampures out of hell! YUM!!! We ordered a pint of Cobra beer, to stop the fire and to be quite frank, this food would have killed any red wine. Cobra is a very decent beer, with a deep aroma and very fresh - a good contrast to the hot food. Good Indian & Afghan neighbourhood restaurant on Oslos East End. A little pricey, but you can eat worse Indian food else where. Darbar rarely fail to deliver good food. The interior needs a makeover. Did you have any of the Afghan specialities? I've never tried Afghan food -- it sounds really interesting.